Will Microwavable Diet Meals Will Help You Slim Down? Are you trying to lose weight with Lean Cuisine, Smart Ones, or another brand of frozen meal? Packaged diet foods provide calorie-controlled portions that can help you slim down. But weight loss is not a slam dunk with these products. You have to follow a few guidelines to make Lean Cuisine diet plan work. Smart dieters often use frozen meals as part of their weight loss program. There are many good reasons to use Smart Ones or Lean Cuisine to lose weight. Most diet meal brands provide a complete meal for about 300 calories. Many of the selections provide even fewer calories. A typical lunch or dinner can provide 400 calories, 500 calories or even more. So using a lower calorie option can help you to reach the calorie deficit needed for weight loss. When you stand in the freezer section at the grocery store, you'll see a very large selection of frozen diet meals. There are Mexican meals, Asian meals, Italian meals, and you'll find many of your favorite comfort foods as well. That means you can select foods that you are used to eating. Eating familiar foods may help you to stick to your diet, especially in the beginning of your weight loss journey when food restriction is most difficult. Nothing is more simple to prepare than a Lean Cuisine or a Smart Ones. Simply pop it in the microwave and within a matter of minutes, you have a complete lunch or dinner. Frozen meals are easy to find in any grocery store, they are simple to store in your freezer and they can even be stashed in a cooler bag to bring to work. When you are very hungry and craving a quick bite, it's easy to grab the quickest meal or snack available. Sometimes, this is high-calorie junk food or even fast food. But a frozen meal is faster. Having them on hand may cure your cravings quickly so you don't fall victim to diet-destroyers. If you're counting calories with your smartphone app, Smart Ones and Lean Cuisine calories are a snap to log. Simply use the barcode scanner and you'll have the exact number of calories added to your food journal in a single step. New dieters are often frustrated by having to learn the correct portion sizes for weight loss. Frozen diet meals do the work for you. Each meal not only provides you with the proper portion size but also helps you to learn how to eat less to slim down. Using Lean Cuisine for weight loss can be cheaper than using a diet delivery program for weight loss. The cost of each meal may (or may not) be higher than a popular commercial food plan like Jenny Craig, Weight Watchers or Bistro MD, but most of those plans require you to commit to a long-term program to get the best rate. And generally, you have to buy all or most of your meals from the service to subscribe. Before you empty out your freezer to make room for the new diet meals you plan to use for weight loss, consider some of the reasons that Smart Ones or Lean Cuisine may not work for weight loss. Like almost all frozen meals, diet meals are often high in sodium. If you are trying to cut back on your salt intake or reduce your water weight to slim down, then these meals may not help your cause. Most nutrition experts agree that heavily processed foods don't support optimal health. They recommend that you get your calories from whole foods like fruits and vegetables and lean sources of protein with fewer added ingredients. Many frozen diet meals include processed meats and side dishes. Some, but not all, frozen meals are low in fiber. Fiber helps you to feel full and satisfied after eating. If you're a dieter, this feeling of satiety can help you to eat less in the hours after your meal. If you get used to cooking your meals in the microwave, you might reach your goal weight, but it might be easier to gain the weight back afterward. 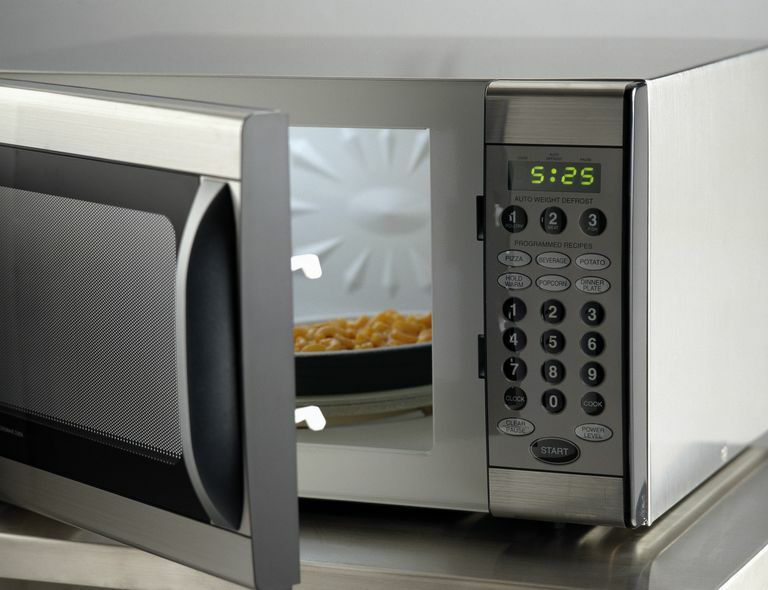 Many non-diet microwave meals are very high in calories, high in fat, low in nutrition and may even contain dangerous trans fat. One of the most important parts of the weight loss process is learning to organize and prepare healthy, diet-friendly meals. If you use Lean Cuisine to lose weight, you may not learn how to cook nutritious meals and how to organize a meal plan to slim down and maintain your new body. When you eat comfort foods like meatloaf, mashed potatoes, lasagna, or macaroni and cheese, you may train your taste buds to crave these traditionally high-fat foods. Then when you transition off your diet you may still want them. When you give in to the cravings, the weight is likely to come back. If you use a frozen diet meal to slim down, follow these guidelines to make the process work in the short and long-term. First, use the meals sparingly. Include them in your daily diet if enjoy the flavor and convenience of Smart Ones or Lean Cuisine. But make them part of a complete meal plan that also includes fresh fruit, fresh vegetables, whole grains and meals that you organize and prepare yourself. Next, cut back on sodium at meals and snack time. If you notice that you can't lose weight with Lean Cuisine, it may be due to a higher than normal sodium or carbohydrate intake. Both of these factors can help you to gain water weight and will cause you to see an increase on the scale. You can also look for frozen meals that are lower in sodium. Lastly, learn to read food labels for weight loss. Before you toss a healthy-looking frozen meal into your grocery cart, learn how to scan the back of the package to see if it is really likely to help you slim down or if the meal will satisfy your cravings for comfort food without getting you closer to your weight goal.